RBI may increase rates by 25 basis points each in Q4 of 2019 and Q1 of 2020, Goldman Sachs said in a research report. 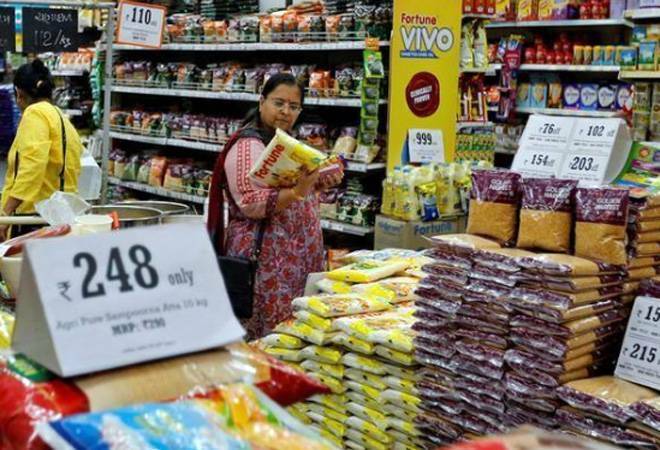 With growth improving in the second half of 2019 and pick-up in food inflation, RBI may have to shift back to tightening mode, says a report. It expects some pick-up in food inflation over the course of this year, as favourable base effects begin to wane and some momentum builds, as indicated by the most recent print on both consumer and wholesale prices, and given the weak winter crop so far, which could hit the markets around March-April. "Going forward, as growth picks up, particularly in the second half of 2019, and if the US Fed increases rates, and food inflation begins to pick up, the pressure on the RBI to shift back to tightening mode is likely to build," the research report said. In the sixth bi-monthly monetary policy review, RBI reduced the repo rate by 25 basis point to 6.25 per cent, and changed the policy stance from 'caliberated tightening' to 'neutral'. The central bank also cut its estimates on headline inflation, and expects the number to come at 2.8 per cent in March quarter, 3.2-3.4 per cent in first half of next fiscal and 3.9 per cent in third quarter of FY20. Goldman Sachs sees headline CPI inflation at 3.6 per cent for FY19 and 4.2 per cent in FY20. The report said it does not expect the RBI to change policy rates in Q2 or Q3 of 2019. "We expect RBI to evaluate the effect of its past rate actions, as well as assess any potential changes to other macroeconomic policies following the general election," the report said.